That means no more security updates for Shockwave, which has always been something of an ugly stepchild to Flash. That is to say, Shockwave never really got the security attention Flash has received but nevertheless has been just as vulnerable and often lagging months or years behind Flash in terms of updates. Chris Goettl, director of product management and security for security firm Ivanti, said Windows users need to get any existing Shockwave installations out of their environments now. 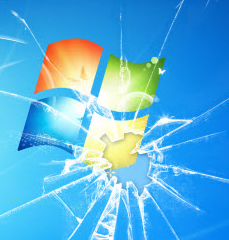 Standard advice: Staying up-to-date on Windows patches is good. Updating only after you’ve backed up your important data and files is even better. A good backup means you’re not pulling your hair out if the odd buggy patch causes problems booting the system. SANS Internet Storm Center’s Patch Tuesday Priorities. This entry was posted in Uncategorized and tagged InfoSec, infosecnews on April 10, 2019 by brianhonan.